Not your ordinary Picture Frame! 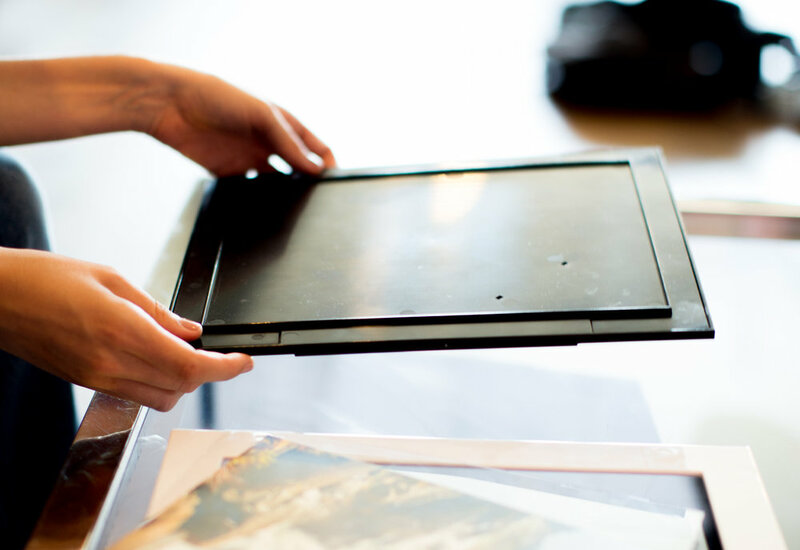 Our patented framing system starts with a front-loading frame, making it easier to insert or change a picture. To frame a picture, simply take off the frame front and plastic window, place your picture on the back frame, cover with the window, and then re-attach the frame front. 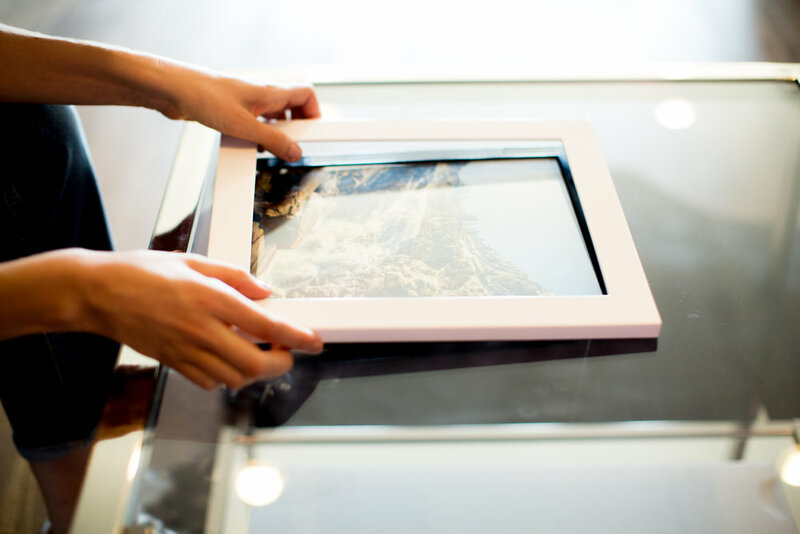 Your framing is done in seconds and ready to display. Frames to Change provides even more flexibility with a variety of frame colors. Our frame fronts are interchangeable, so rather than buying a whole new frame you can simply purchase a different color frame front and use it on the same frame base. All Frames to Change frames come with an arm for tabletop display and a metal bar for wall hanging. To hang the frame on the wall, simply affix the metal bar provided with your purchase to the wall. You can hang the frame horizontally or vertically with this bar at any time. The magnets hold your pictures more securely to the wall than traditional frame hooks. We want to be good citizens to our planet and country. We are proud that our frames are made with recycled plastic and made in the USA. This is not only good for the environment, but our frames are stronger than the traditional wood frames. The windows are also made out of plastic and are more durable and safer than glass. Our patented magnetic design ensures a strong hold, not only keeping the frame front and back together, but creating superior hold on the wall. Our 8x10 frame comes with a metal bar and two screws. With our hang once and done design, pictures can be hung and rehung, horizontally or vertically in seconds. The bar is invisible but the frame is secure. Taking photos keeps getting easier, so should framing! Create an ever changing wall design with our economical 4 pack starter kits! Choose a four white frame kit, a four grey frame kit or a two white and two grey frame kit. Each 4 pack is $100.00! We are a growing business and would love to hear from you! We have a “Name it, Frame it” option for larger orders. You choose your frame color and design your stock image and create your story. Wholesalers - we want to work with you! Let’s work together!